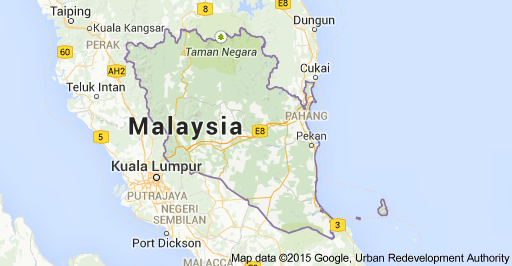 Pahang is the third largest state in Malaysia, after Sarawak and Sabah, and the largest in Peninsular Malaysia. The state occupies the huge Pahang River river basin. It is bordered to the north by Kelantan, to the west by Perak, Selangor, Negeri Sembilan, to the south by Johor and to the east by Terengganu and the South China Sea. Its state capital is Kuantan, and the royal seat is at Pekan. Other important towns include Jerantut, Kuala Lipis,Temerloh and the hill resorts of Genting Highlands, Cameron Highlands, Bukit Tinggi and Fraser's Hill.